A record was set in the tropical northwestern Pacific Ocean as the basin entered its longest stretch of time without a named tropical cyclone. 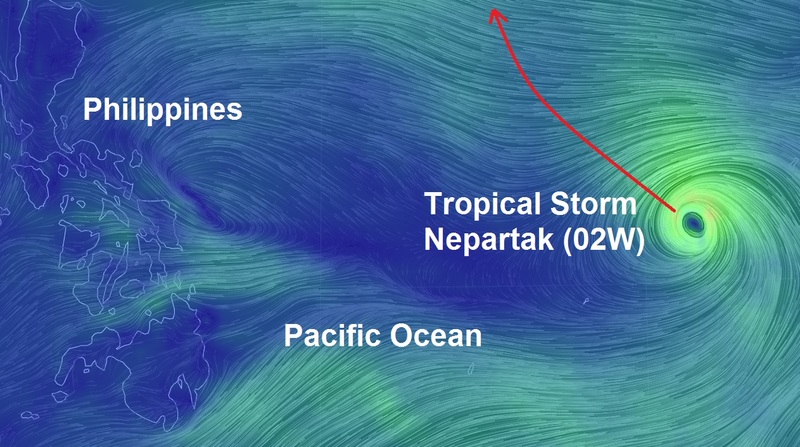 The new record of 199 days ended on Sunday with the development of Tropical Storm Nepartak. The lack of tropical systems occurred from Dec. 17, 2015, to July 2, 2016. The previous record was 198 days which occurred from Dec. 15, 1972, to June 30, 1973, and also from Dec. 22, 1997, to July 7, 1998 Accu Weather reports. Strengthening Tropical Storm Nepartak will track to the northwest through the coming week, likely strengthening into a typhoon by Tuesday or Wednesday. Residents of Taiwan, eastern China, South Korea and Japan, including the Ryukyu Islands, are being put on alert for impacts from the tropical system during the latter part of the week. Flooding rainfall will accompany Nepartak along its path. The risk of damaging winds and rough surf will heighten as it strengthens.